I am thrilled to be your child's fourth grade teacher! Here are a few things you might want to know about me. I am a Bridge Point parent as well as a teacher. My youngest son, Sawyer, is in the 4th grade this year. My middle son, Henry, is a 7th grader at Hill Country Middle School, and my oldest son, Hudson, is in the 9th grade at Westlake High School. This is my thirteenth year of teaching, and my sixth year teaching at BPE. I am originally from Dallas but spent much of my adult life in California. I attended Stanford University as an undergraduate and earned B.A.s in Art and English. I came to teaching by way of painting murals in the San Francisco Bay Area with local children. I enjoyed working with them so much that I decided to make teaching my career. As a native Texan, I came to UT to earn my teaching credential. My first teaching job was in Chicago where I taught first grade for two years. After those first years of teaching, I then attended Harvard's Graduate School of Education where I earned my Master’s Degree in a program called Arts in Education. My graduate program focused on using art in the general curriculum to foster learning and creativity. From there I moved back to the Bay Area to teach first grade in San Jose for five years. When my own children were born I chose to stay home while they were young. 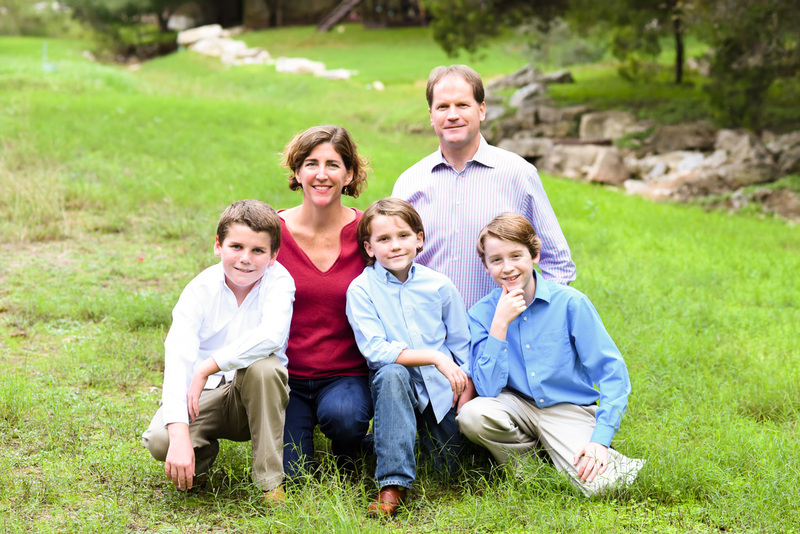 Soon after becoming parents, my husband Greg and I decided that Austin was the best place to raise our kids. We have lived here for twelve years. These years in Eanes have been wonderful for all of us Smiths. We are so glad we chose this community in which to live, work, and raise our boys! I am excited about this year and can’t wait to help your children learn and grow. Please contact me anytime!